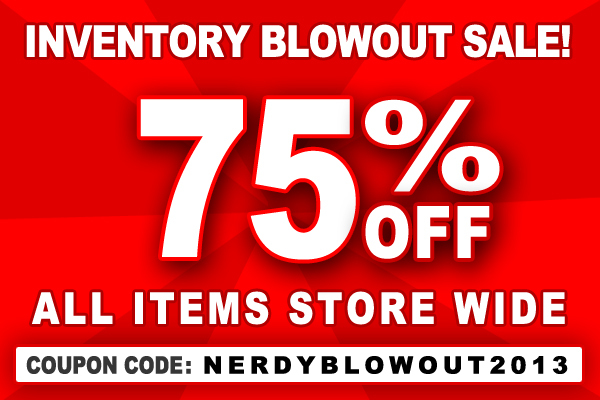 Nerdy Shirts: Inventory Blowout Sale! - Blog @ That Awesome Shirt! Nerdy Shirts: Inventory Blowout Sale! 75% off ALL items store-wide! Stock your carts with our favourites or check out nerdyshirts.com.